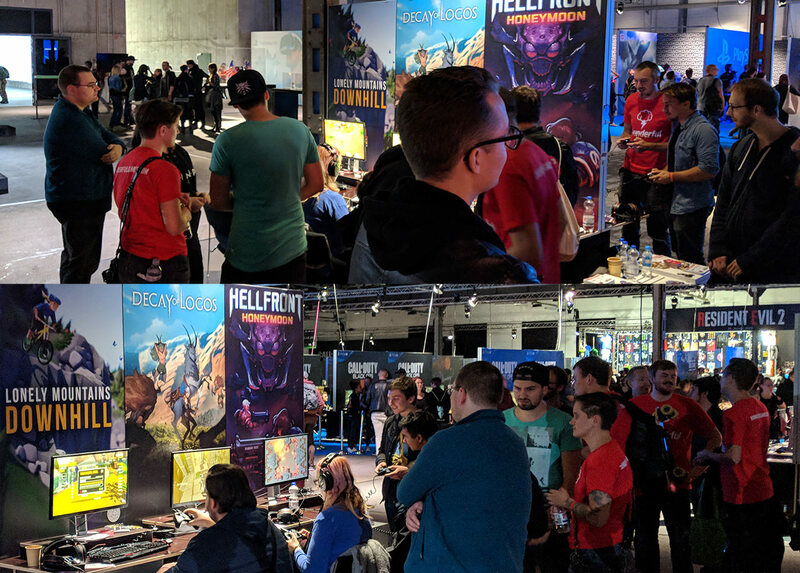 DevBlog 125 / Visit our booth at EGX Berlin! Our first winner is Rita Duartes’ design, on the left side. It was selected for having the most votes from our competition album, with its mosaic inspired design. Congratulations to Rita; we are looking forward to bringing your design to life for Decay of Logos. The second winner has been chosen by the team here at Amplify Creations after a very difficult day narrowing down our favorite design from so many creative concepts. 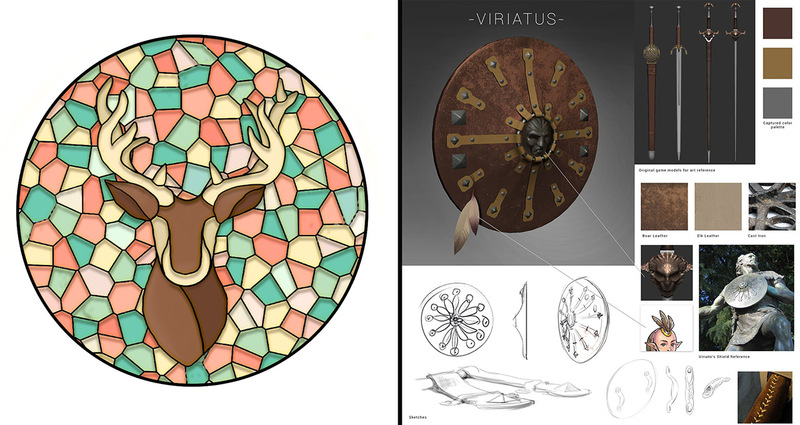 After a team vote we’re delighted to announce that Viriatus, created by Marco Vale, and being on the right side, will be featured in Decay of Logos! We feel the visual theme and materials resonate perfectly with Ada’s environment. We love the balance of the pragmatic simplicity with the intricacies of the cast iron emblem and leatherwork. Congratulations to both Rita and Marco! And thank you again for your support during this competition. On another note, are you by any chance going to EGX Berlin? Come check us out at EGX Berlin! Decay of Logos has a booth there at the Thunderful stand, 28-30 September 2018, hall 7, and we hope that you’ll have a chance to play its latest build! That’s all for this week, we’ll be sharing some more development news next friday, so stay tuned! This entry was posted in Dev Blog and tagged EGX, EGX Berlin, EGX Berlin 2018 on September 28, 2018 by admin.